As an Aldrich Mansion wedding photographer, it's crucial that I know amazing locations for photographs on a wedding day. One of my favorite things about photographing as an Aldrich Mansion wedding photographer is the view of Narragansett Bay from the mansion itself. The rolling hills that sweep down towards the bay are extraordinarily picturesque. 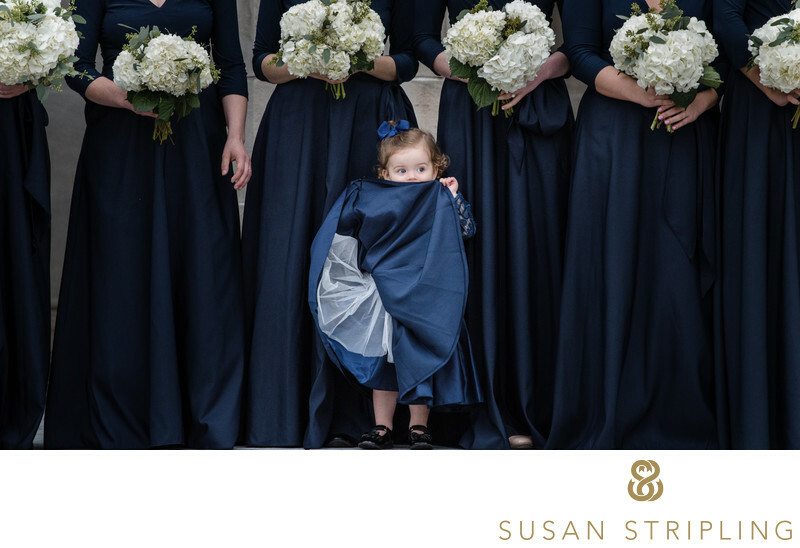 It makes for a phenomenal background for wedding day pictures and portraits. I absolutely love the grand staircase in Aldrich Mansion, as pictured here. 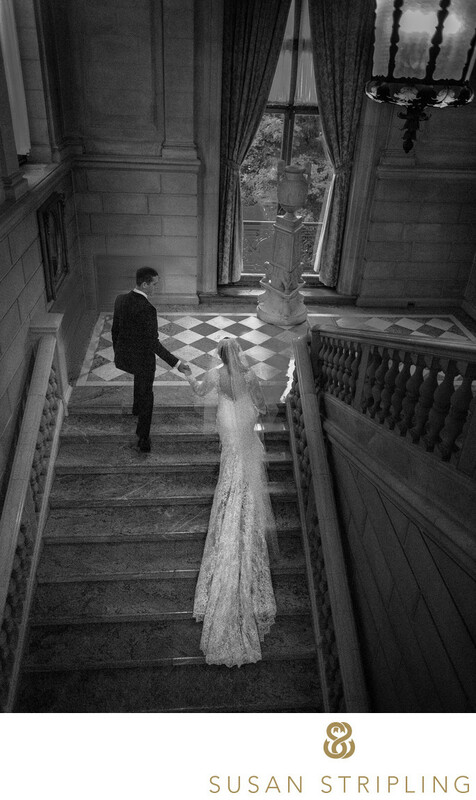 The beautiful marble stairs are gorgeous to photograph on, whether the couple is walking up or down the stairs. I especially love that the staircase can be used in all kinds of weather, from beautifully sunny days to the craziest of rainy day! Another important spot to know as an Aldrich Mansion wedding photographer are the gorgeous rooms that make up the bridal suite and areas for the wedding party to get ready. With incredible floor to ceiling windows, each of these charming rooms is constantly flooded with brilliant light. Each room is slightly different, adding to the charm of the building itself. 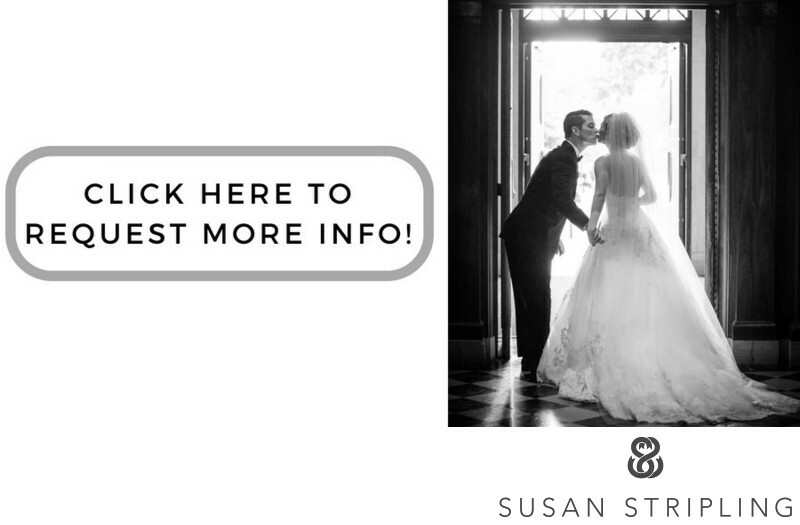 If you are getting married at Aldrich Mansion, finding the best Aldrich Mansion wedding photographer for you might be a tricky thing. After all, a simple google search for "Aldrich Mansion wedding photographer" results in hundreds of links to click! While it's not imperative that your wedding photographer has shot at your venue before, it's helpful that he, she, or they familiarize themselves with the intricacies of being an Aldrich Mansion wedding photographer. This can be as simple as arriving early on the day of the wedding to walk around the venue, something I do at every wedding I shoot! 1/400; f/2.8; ISO 5600; 28.0 mm.